Although the mystery behind this whole Ted fiasco is nice and interesting, Ted is actually Ted Jackson of English Emprise/Emprise Cigars. Yep, that’s it, no crazy story to it, sorry. 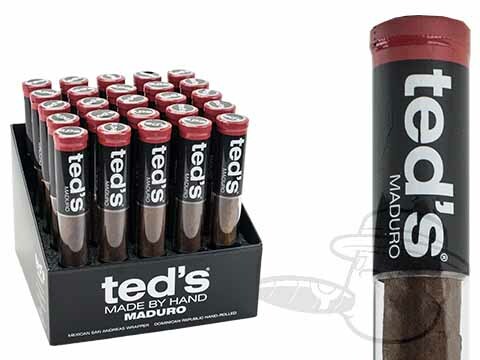 Ted’s Made By Hand is a perfect smooth cigar for the mellow bodied enthusiast, or the novice smoker looking to try something new. There’s no surprises, or hidden complexities in this great selling cigar. It is what it is...A delicious smoke, with an even and slow burn. A perfect smoke for any time of the day.